A parking lot confrontation between a teenage girl and an unnamed suspect got out of hand on Sunday, forcing 100 people to be locked down inside a Walmart in Port Orchard, Washington. The suspect shot his female teenage acquaintance, then shot two sheriff’s deputies before the police killed him in a Walmart parking lot. 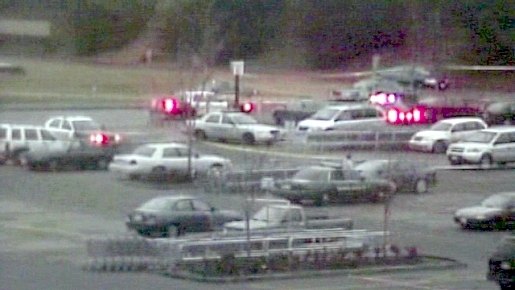 A total of four people were shot outside of a Port Orchard, Washington, Walmart store. The two injured sheriff’s deputies are expected to survive; the shooter and his victim were both dead at the scene. While Walmarts have been the center of some crazily random outbursts and the occasional punched greeter, it’s usually not to this level. Fortunately, no other innocent bystanders are hurt and thankfully the police stopped this before it got out of hand and nobody else got injured. Still, you might want to think twice before heading to your local Walmart store, just in case it’s a centerpiece for craziness.